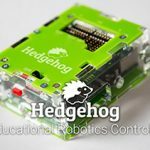 Freeburn Robotics and their brand PiBorg have recently completed a new Kickstarter campaign for a motor controller and robot base for use with the Raspberry Pi platform. 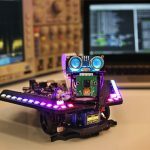 The motor controller and robot were built with the intention to encourage other makers to use their robot and single board computer ideas to begin or deepen their involvement in robotics, programming, and STEM education. 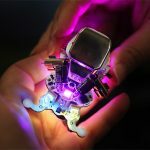 This marks the third (and most successful) campaign for the UK based company which specializes in robotics kits and add-on boards for use with the Raspberry Pi, Raspberry Pi Zero, and other single board computers. 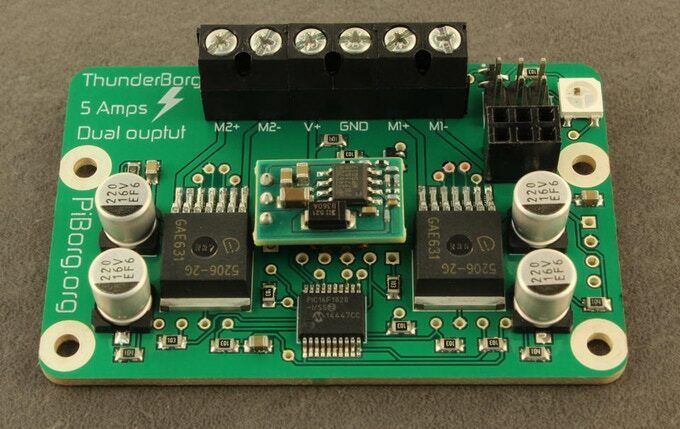 The ThunderBorg is a 5 Ampere board that is supplied with an array of software to interface with the Pi and to control the MonsterBorg robot. 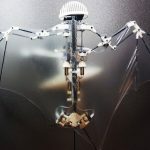 It can be operated remotely via gamepads and joysticks, through a web-based browser like a spybot, as well as autonomously with a bit of code. The board is compatible with Raspberry Pi 2, 3, Zero 1.2, Zero 1.3, and Zero Wifi. 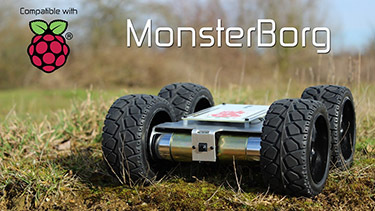 The MonsterBorg possesses a set of four-inch diameter all-terrain wheels and boasts an impressive three-hour battery life. Additionally, it can be programmed as a self-driving rover, used for education about autonomous systems, or even as an RC off-roader. It can also make a great platform for hacking with the addition of extra sensors or servos. 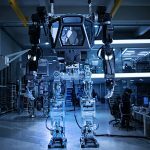 Freeburn Robotics believes that MonsterBorg and ThunderBorg will make an excellent platform to get started with self-driving vehicles. Since the standard code and tutorials use OpenCV, the MonsterBorg can act as an excellent resource to learn about how computers see the world. Additionally, the competitive nature of the MonsterBorg encourages continuous experimentation with the code, making the learning dynamic and exciting. Because the feedback from experimenting with the code is quite visual, it’s easy to become hooked. The code can easily be adapted to more complicated control and AI software such as ROS and TensorFlow, and they believe that this is perfect for users to progress toward real-world autonomous vehicles. By the end of the Kickstarter campaign, PiBorg had far exceeded their initial goal of raising £3000 pounds for the project and instead raised over £52,000 pounds. 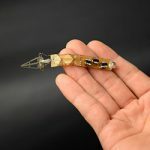 Hopefully, the overwhelming demand for this product is indicative of a dramatic increase in interest for robotics experimentation and education amongst consumers.